Nothing says fall like fruit butters, right? 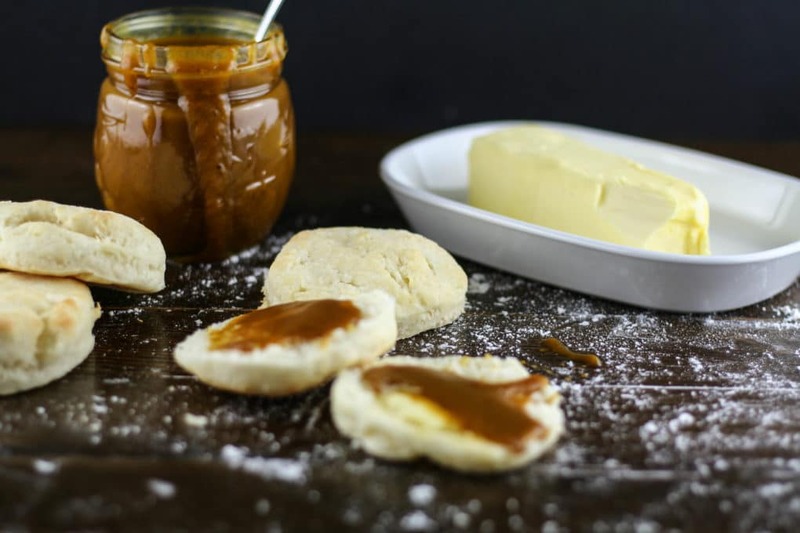 Everyone is familiar with apple butter, but have you tried pumpkin butter? It’s so good and all of my pumpkin-spice-everything readers are going to LOVE this one, too! This is another easy crockpot win, no laborious tasks, just add all of the ingredients to the crockpot and let it do the magic. You can serve this on gluten-free biscuits, toast, or even pork chops! Sounds crazy, right? But fruit butters and pork work really well together. You could also serve this up on Thanksgiving to accompany your dinner rolls! 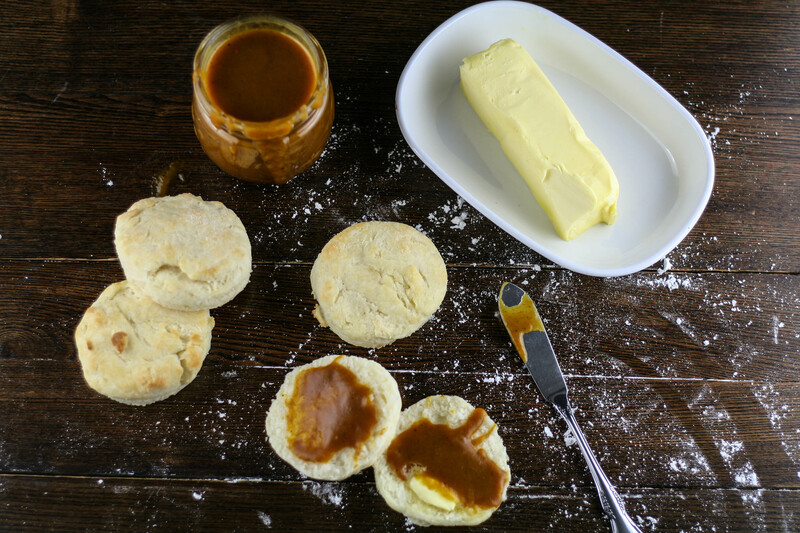 I used my favorite gluten-free buttermilk biscuit recipe when I made this batch of pumpkin butter. 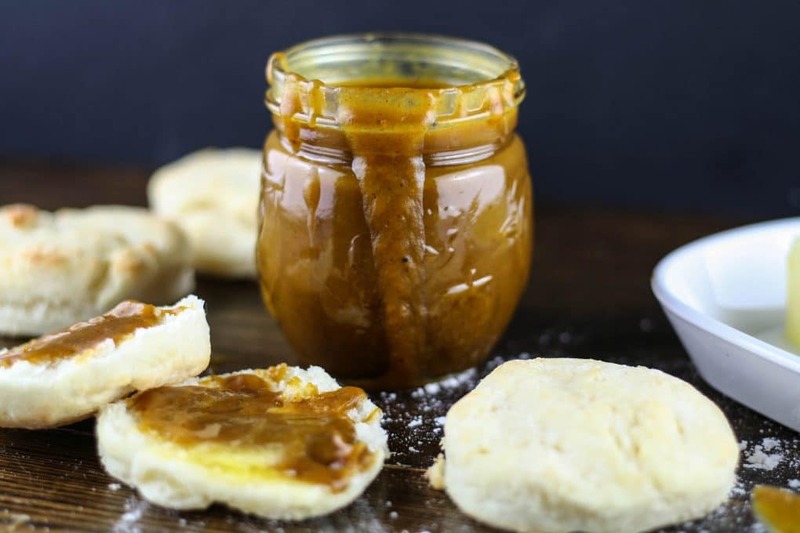 Believe it or not, they are THE BEST gluten-free buttermilk biscuits I have ever had, and they accompanied this rich and creamy pumpkin butter perfectly! 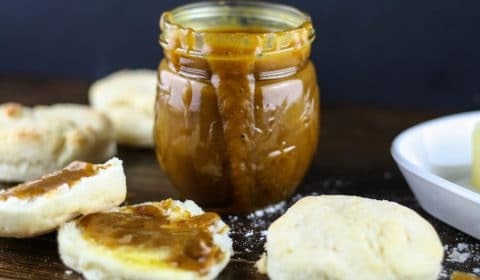 This pumpkin butter also uses only fresh ingredients so no harsh chemicals or preservatives, and you can store it in the refrigerator in a mason jar. Add all ingredients to a crockpot, stirring well to combine. Cook on low for approximately 6 hours, stirring occasionally. Let cool and store in a mason jar in the refrigerator for up to 2-3 weeks.